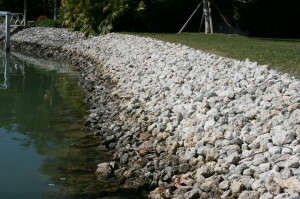 Rip Rap is rock used to armor shorelines against scour and water erosion. 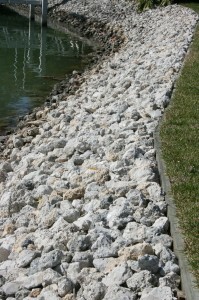 It is made from a variety of rock types. 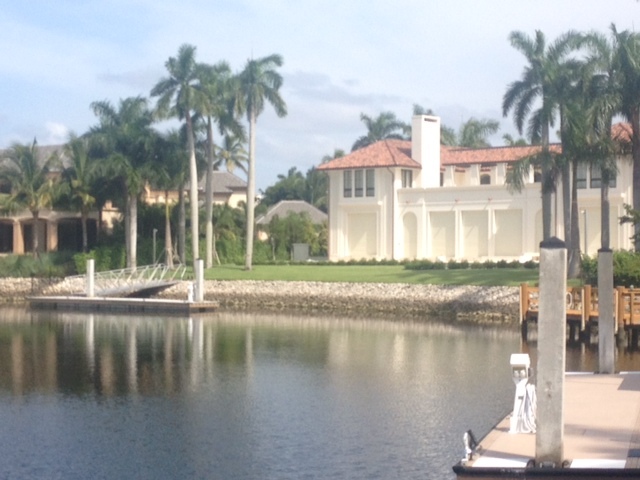 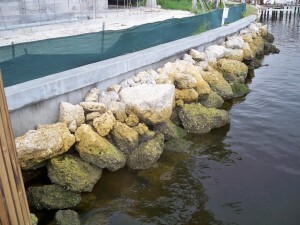 In Southwest Florida, we use our local lime stone. 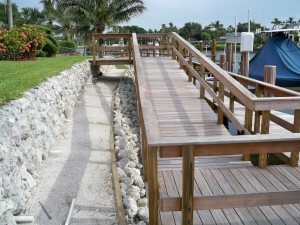 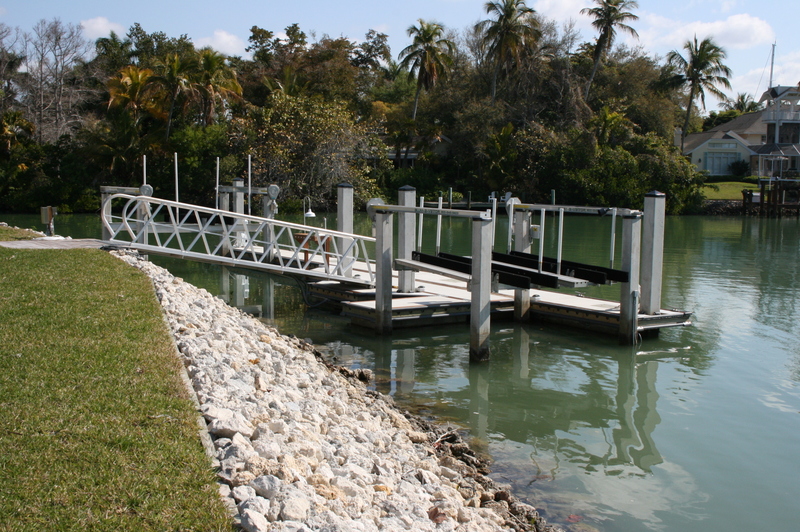 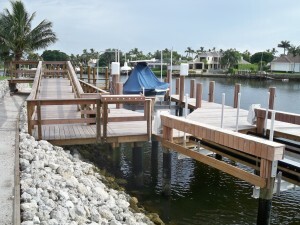 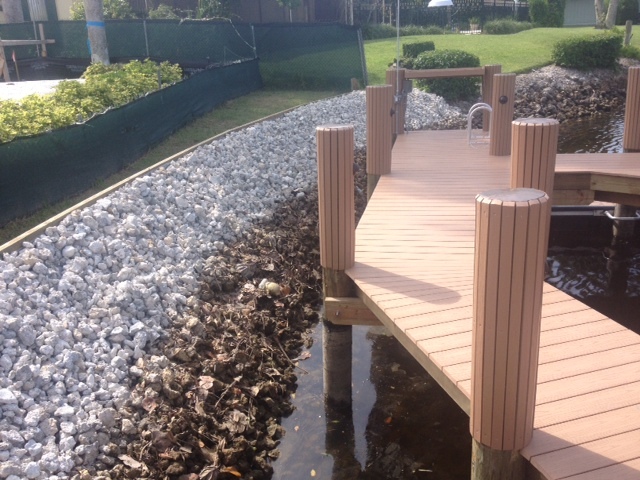 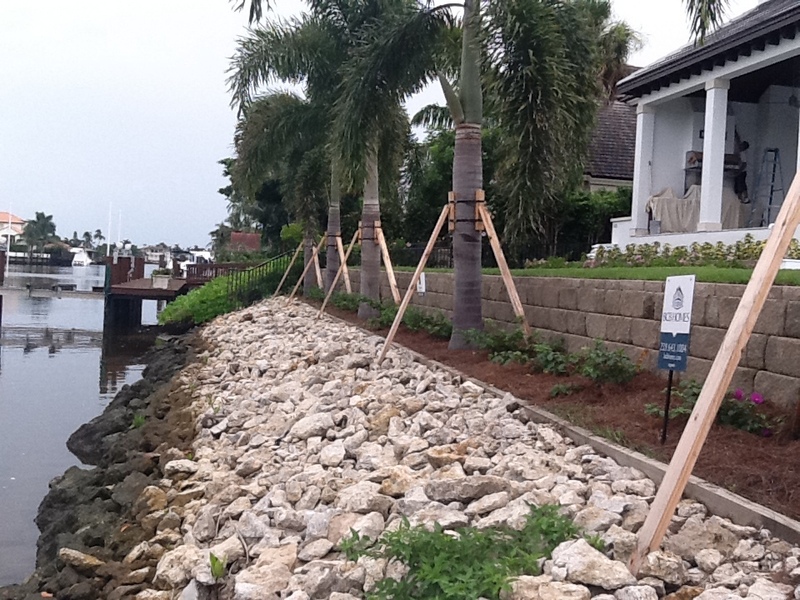 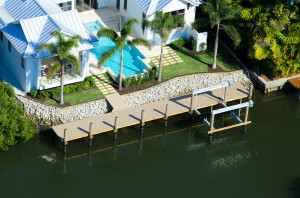 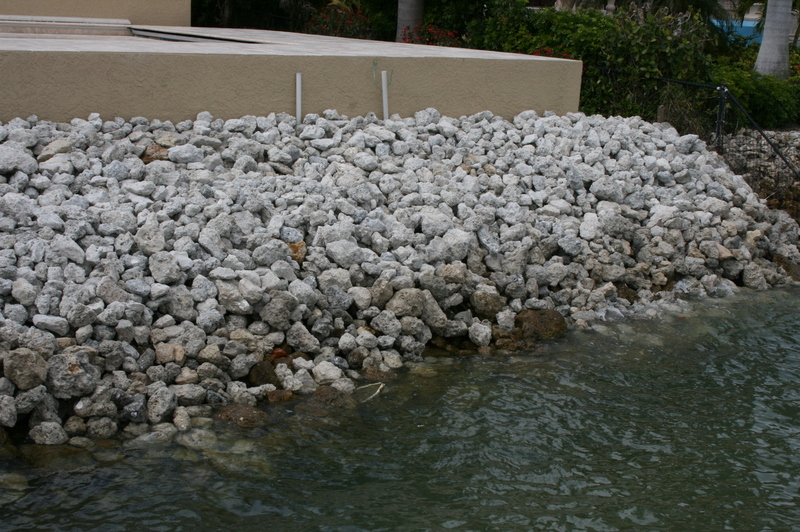 It can be used on any waterway or water containment where there is potential for water erosion. 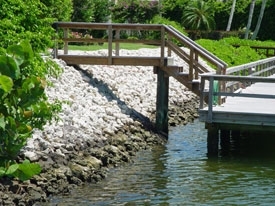 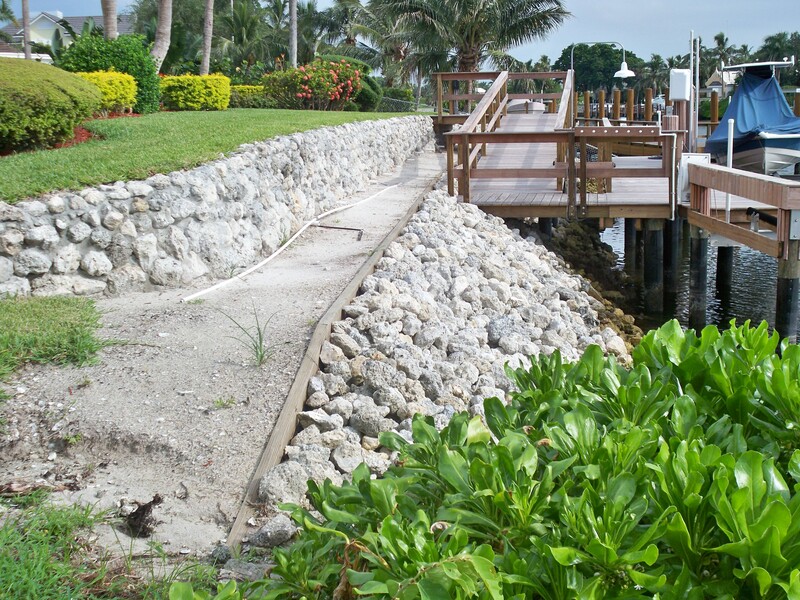 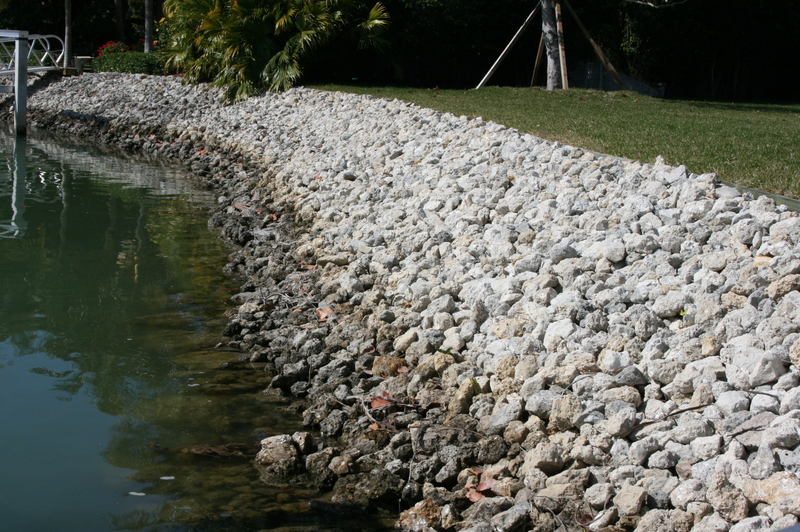 Riprap works by absorbing and deflecting the energy of waves before they reach the defended structure. 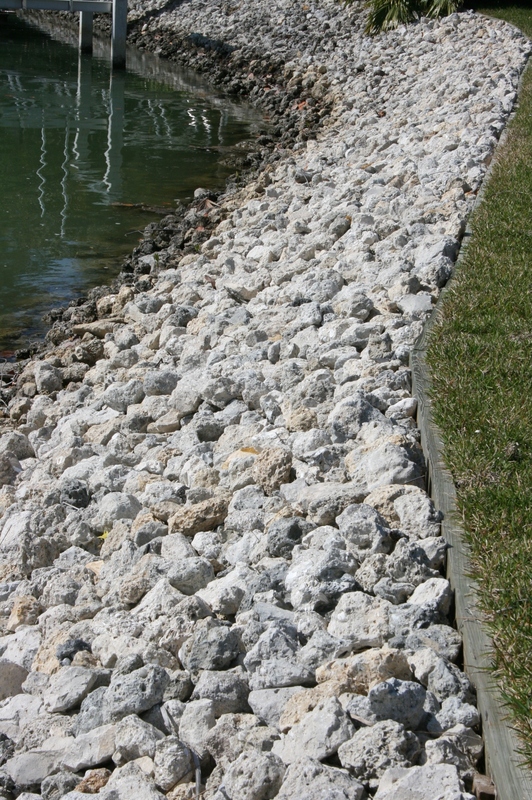 The size and mass of the riprap material absorbs the impact energy of the waves, while the gaps between the rocks trap and slow the flow of water, lessening its ability to erode soil or structures on the coast. 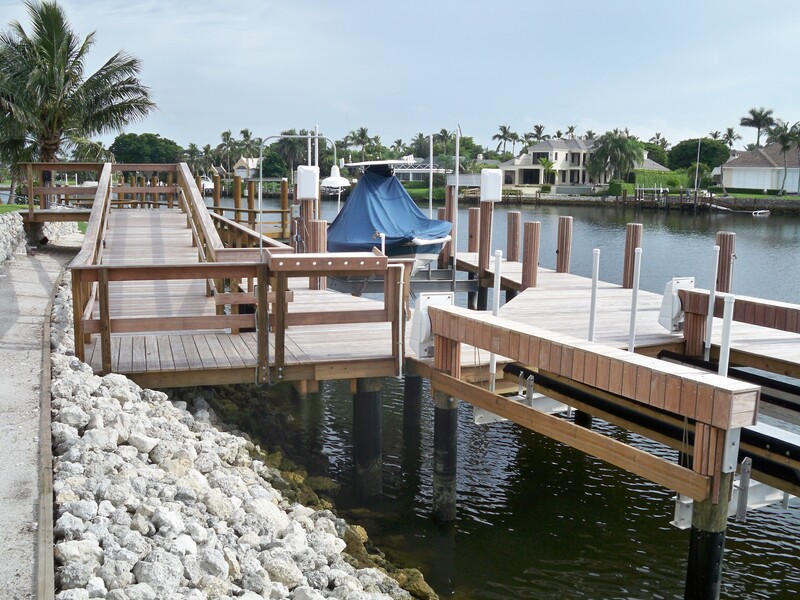 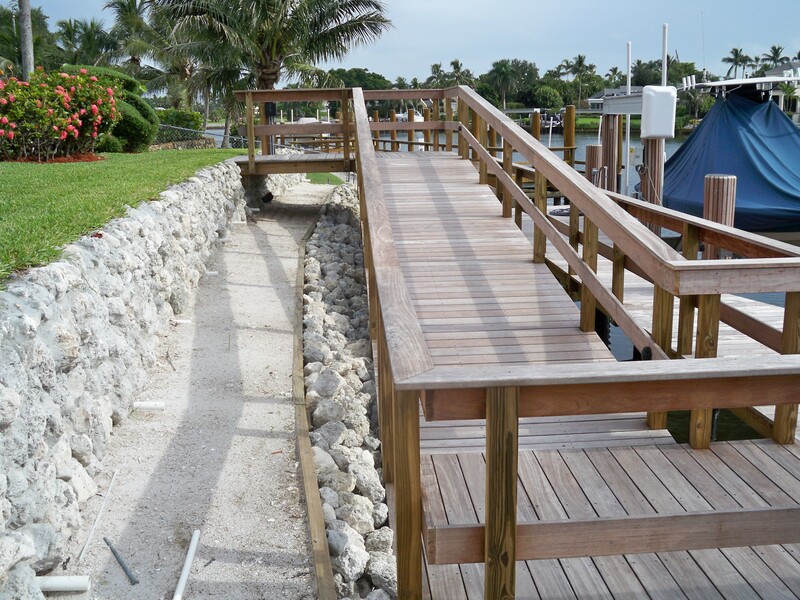 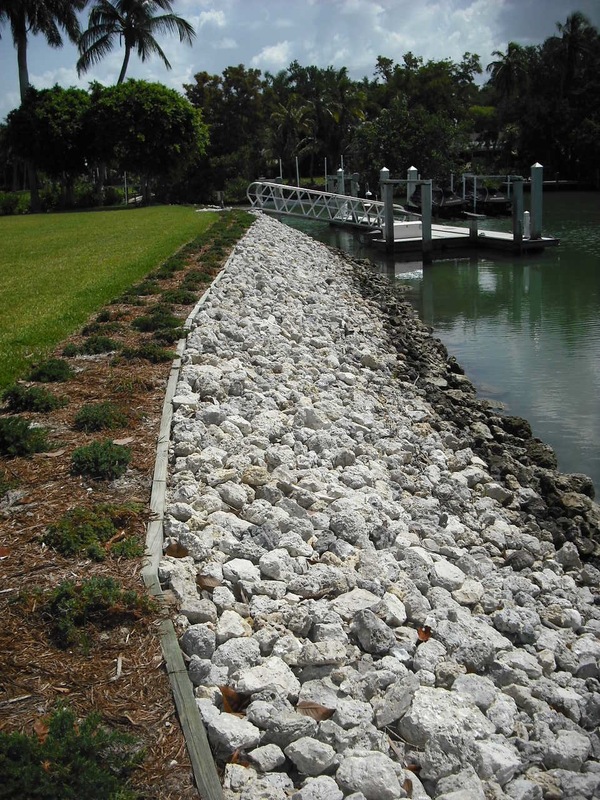 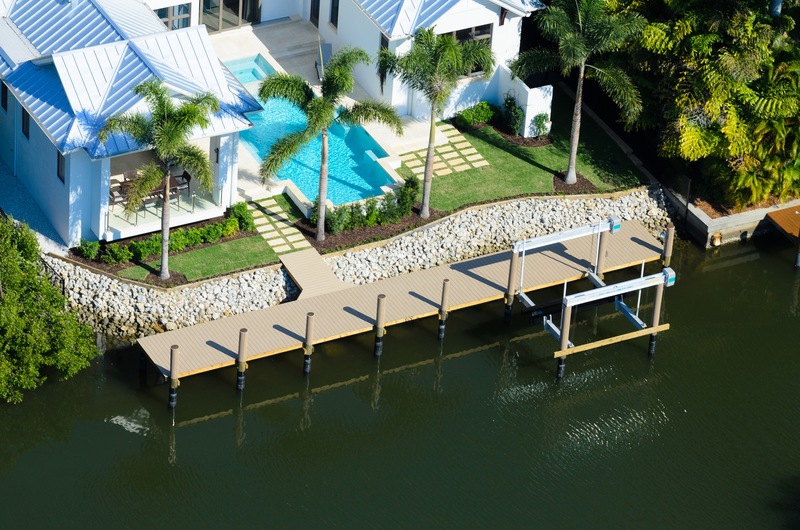 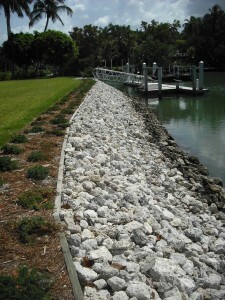 Depending on the location, shoreline height, water depth, and exposure, we use different size rock ranging from 6″ to 6′ in diameter. 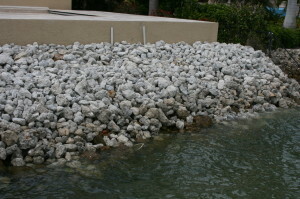 We can install this rock with land-side equipment or by barge depending on you job needs.